I have to pinch myself to believe that it’s true. Just nine months ago I was on stage at the Shepherds Bush Empire handing out the Songlines magazine band of the year award. It’s the winning band that makes me disbelieve it ever happened. For it was the fabulous Malian group Tinariwen. To hear them in performance is to bask in the desert heat and wind of the Sahara. Even their clothing finds them winding their fabulous duststorm-resisting cotton scarves around their throats. Let’s be candid, they are a gorgeous mix of men and women armed with tambourines, guitars, drums, flutes and more. They had the audience on their feet that warm early May evening of 2012. Today, no audience, and one of their number is in the hands of the grim Ansar Dine. This is the al-Qaeda linked group that has ravaged the religious places of Timbuktu, screaming “idolatry” as they did so. Timbuktu! The city was no disappointment in the lexicon of historic romance. But this desert city in the north of Mali is now in the epicentre of today’s conflict. It had a thriving university before either Oxford or Cambridge had ever been thought of. In the 12th century it was one of the world’s crossroads of intellectual activity. I was there during the year 1999, making a film about the millennium. A thousand years ago, books were the main traded commodity in the city. Some 30 years ago the river across and around which the city was built turned left some 17km short of Timbuktu, leaving a strange wide, dry trench. This tributary of the River Niger has never come back. When I was there, I was taken to ancient buildings in which great piles of ancient books literally cascaded from ancient shelves and cupboards. Indeed Unesco had launched upon a $40m endeavour to save and preserve the books. Heaven alone knows what has happened to the books, the conservationists, and even the buildings in which, for a millennium they had resided. The madmen that are Ansar Dine came for Tinariwen on 3 January this year. The group escaped into Timbuktu’s shaded alleyways, but sweet, mild-mannered guitarist Abdallah Ag Lamida was caught as he tried to save his guitars. His playing, and his voice, are a central element in the texture of the band’s sound. No-one knows whether this man whose hand I shook, and who hugged me on stage in Shepherds Bush just nine months ago, is even still alive. Tinariwen’s guitar-dominated Assouf music, with its Tuareg melodies, sounds to us like the roots of American blues. Today their sounds are stilled – one largely unreported victim of the inferno that is now the war in this far-flung land. John, you might recall that I spoke to you about Mali at WOMAD this year. I was standing by you at a stall organising trips to Mali and similar places in Africa. I feel so sad that the people of Mali are suffering in this way as we both know that music is so embedded in their culture. My husband and I have a small apartment in the Gambia and have many friends there. I am worried that this conflict will engulf the whole of West Africa. And how did it become “one of the world’s crossroads of intellectual activity” ?? All you have to do is look at the existence of Timbuktu’s fable libraries and the reverence with which texts are seen in Timbuktu to answer your own question. There are an estimated 700,000 texts, many dating from the 15th and 16th centuries. I’m happy to update you that Abdallah (aka Intidao) is alive & free. He was freed a few days after he was taken, after negotiations with Ansar Dine. Thank you Amina so much ..that is great news indeed..I hope the whole Tinarewin band is now safe..others in Timbuktu have not been so fortunate alas.As with the Algerian hostage crisis further North it is very difficult to get hard facts. While we can all agree stability in the region of West Africa is important for the peoples of those nations located there, let’s not try and forget why there are rebels trying to over run the government in Mali. Governments such as the corrupt government in Mali are the same as colonial puppets that have spent the better part of their rule in implementing nothing but never ending corruption and strife. Let’s look at the bigger picture and not try and subdue the issues of colonial hegemony. I hope Lamida will return to his friends and family. ‘If music be the food of love’ – depressing indeed, Jon. Just shows we can, must never, take anything for granted – including, of course, nature (para 5) as illustrated by the drying out of the Niger tributary in the ongoing spread of the Sahara. Re your final para: I understand many Tuareg support Ansar Dine. Jon, Mali has now become the centre of ‘The global war on culture’. It is civil society in the regions occupied by the terrorist network or the military that have been the real target of the corporate criminals who dominate politics. They will erode national identity and independence if they can hide behind the so-called security services who trained and instituted the extremists into the north of the country. This is a clear model of modern politics defined as ‘The acquisition of power’. It is very sad, but these are very strong men. They believe in a cause and in the end would gladly die before they gave it up. Talk with them a time or two and you will see they possess great qualities that are missing in people in the world today. This is devastating news. We just saw them play at the Union Chapel before Xmas. The photo is merely aTinariwen picture, I couldn’t find a picture of Abdallah himslf..but at least this shot gives a sense of what they look like on stage..which I have tried to describe. If you’d been a little less self-absorbed, you’d know that nowhere in the above does Jon claim the picture was of Abdallah Ag Lamida, aka Intidao. You might then have, as you say yourself, ‘got the facts right’. If a man is in danger, and you admire him, your column should be less about YOU and all your gushy self-centered reminiscences and more about how to help save HIM. If my attempt to enable people to have a personal sense of what Tinariwen and Timbuktu are like has offended you, i’m sorry. In addition, Abdallah’s abduction was not in Timbuktu, but somewhere between Kidal and Tessalit. No one was “after” Tinariwen, and they certainly weren’t in Timbuktu. Abdallah had been overheard playing guitar, which has been banned by Ansar Dine, and was taken as a direct result. Ansar Dine have threatened a lot of local musicians and their families, warning them against playing music or singing. Aballah Ag Lamida aka Intidao is the person you refer to in your article. He was arrested near Tessalit by the Islamic police but managed to escape. As far as I know he’s safe in Algeria. We had Tinariwen at our festival in 2006 just at the beginning of what I believe was their first US tour. They were delightful people, very humble and just an incredible show that left everyone stunned. We loved them. They have been back to Louisiana and I was lucky enough to see them last year at House of Blues in NOLA. It is one thing when you hear about war and unrest. It is another thing when you work for an international music festival and actually know people suffering. But to actually know a person who is held captive is mind blowing. Our thoughts and prayers are with all musicians, artists and the people of Mali. When are we going see a features about how “Western” governments are ignoring the funding and encouraging of these destroyers of Black African culture by members of the establishment in their “friends” the Gulf states. It would be tragic if just as African was recovering from one form of violent Imperialism it was ripped apart by another. Back to the music there is a Sahara Soul concert on 26 January at the Barbican Centre celebrating Mali’s rich musical traditions with Bassekou Kouyaté & Ngoni Ba, Tamikrest and Sidi Touré. I urge all to attend, cheer, sing and dance! 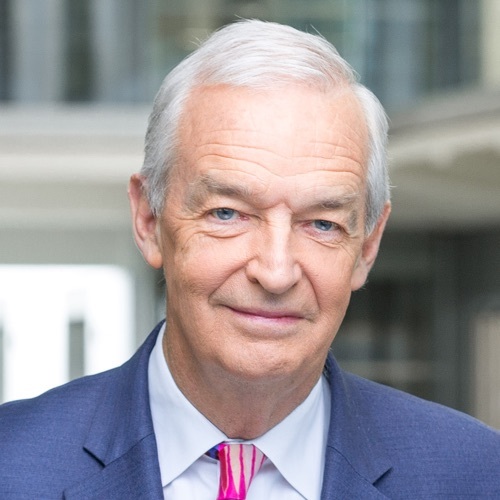 Regarding the negativity towards the “self-centered reminiscences” mentioned above, this is Jon Snow’s *blog*, it SHOULD be personal, and I applaud the efforts to make it so, in the context of the wider issues. Glad to hear that he is (hopefully) safe. Regarding the person involved and the photo – there’s no error there, the photo has no caption and is there to illustrate the ‘group’ at that point in the article, it doesn’t say ‘this was the person who was kidnapped’. How can you people attack Jon Snow for writing this piece? Essentially the specifics are irrelevant; it doesn’t matter WHERE this man was arrested/abducted, the fact is that he was taken against his will for bringing joy and love to peoples’ hearts. Jon was merely illustrating the Malian peoples’ plight. A country with such a rich tradition of music and such a love for the art is being destroyed by thuggery and brutal terrorism. Please don’t be so negative to Jon for bringing this story to the reader’s attention. I totally agree John. Why are people so peevish to those trying to highlight a problem in away which demonstrates both the good and the bad? If Jon Wants to write in this so called “romantic prose” then why shouldn’t he if his memories are good? The damning and dry nature of reporting sometimes numbs readers into expecting ‘the awful’ and the topic loses it’s impact.The contrast gives the culture more depth and meaning. I agree with the last remark. If it hadn’t been for Jon Snow writing, I wouldn’t have known what was happening- and some of the resulting comments are obviously helpful as well. My husband and I were just talking about Tinariwen the other day when reading about the destruction of the libraries in Timbuktu, and wondering if they had been caught up in it, so now we are more aware. We have seen the group a few times, and my stepson was invited backstage with them to chat over long cups of tea, so we do feel very strongly concerned about them. It’s obvious that Jon Snow feels the same. Regarding the political situation, if we could help from this distance we would, but I am unlikely to ever have sympathy with an organisation who destroy books, ban music and use violence to progress their cause. @ Diana & Jon: I was happy to be able to give you good news re: Intidao. Diana: Eyadou is safe at home in Algeria. I’m trying to find out about the others & will update you when I can. I’m afraid I don’t know if they’ll be attending the Festival. With regard to the other commentators, some, but not the majority of Tuareg support Ansar Dine (AD). More back the MNLA who’ s aim is for a Tuareg homeland (called Azawad). That group briefly joined up with AD who promised to help them attain that goal, but they reneged on that promise almost immediately. But basically, all the locals want is to be left in peace so they can live their lives & practice their moderate version of Islam as they have done for centuries. They have immense pride in their cultural heritage, and the destruction of it was a painful blow to them. So please don’t tar the populace with the terrorist brush. If you would like to help the thousands of refugees, please do – there are many ways, including purchasing “Songs for Desert Refugees” CD or by giving to organizations such as Red Cross/ Red Crescent and many others. Thanks to Amina for comment. Sad to read how religious fundamentalism spreads all over the world with the help/or at least pushed by the radikal neoconservative white pigs in the us companys and administrations.It doesnt matter if they call themselves Republicans or Democrats.Its all the same poisoned people.I hate them so much. If you have really managed to convinced yourself that Americans in big business and government are somehow encouraging Islamic fundamentalists, you seriously do need help. While you’re at it, get a few spelling lessons too. Thank you Amina. I will certainly do as you suggest; buying music and donating to the right charities are small gestures but if it helps then am happy to do so. Thanks Meg for the link to the Patrick Cockburn piece – I find him to be a great commentator. If you’re on Twitter, then I also recommend Andrew Libovich, Andy Morgan (who’s commented above & also has a piece in the Inde today), Hannah Armstrong & Phil Paoletta (amongst others). And you are right, the situation is incredibly complicated & convoluted. Thank you Elaine! It genuinely does help. As centreedge mentioned above, the Barbican has a concert this Saturday which features Tamikrest, a young Tuareg band who are thrilling & well worth a watch if you can make it. It’ s also with Bassekou Kouyate & Sidi Toure, brilliant musicians all. I don’t really find it helpful your comments on mad men terrorists seems quite bias to me, why not comment on the truth of this matter the west planning to recolonize Africa. But I am glad that Tinariwen are safe I also saw them live here in Liverpool and adore their music, I’ve spent much time in the desert of Morocco recently close to the borders of Algeria. Maria, I appreciate your comments. It’s interesting to note how the French rushed to ostensibly protect and defend their former colony. Ha! What a joke. Of course as Patrick Cockburn say, the Tuaregs are sitting on vast reserves of oil, gas, uranium and valuable minerals, all the things that we in the West crave more than life itself. Given that the West has squandered its wealth waging untold wars and is now saddled with several generations of debt, it is time to re-colonize Africa. I am fairly sure that if sub-Saharan African countries held a plebiscite on returning to colonial rule, several would vote to reinstate it. For all its many faults, colonisation delivered a kind of honest governance and peace. Mali might well be amongst them. Thank you John Snow for your article. I appreciate such a report was made. I keep my memory of Africa alive thanks to the music especially from Malian artists. From the sound of their instruments their voices the poetic and powerful lyrics, the colours of their culture shine on us. My experience there was short compared, at least, to many foreigners staying in Africa but unforgettable for I shared for a while the enduring humanity of its people. I am french and despite my lack of national pride I believe Hollande has made the right choice to help Mali. In France West Africa has always being highly in our heart. The sceptics can talk about devious interests! I remember passing in the desert the uranium site! In your article here you wrote about people of Mali! and I have too a memorable souvenir of these people. here goes…. I was in Mali in 1986, working as an intendant for Guerba. My job was among other things to get food in the markets everywhere we stopped on our way accross the Sahara from Tunis to Lome in Togo. I remember well Gao, Mopti and Tombouctou, differences were great between their food markets. Mopti, a thriving town where stalls displayed all kinds, had so much traffic coming from the pirogues on the river Niger. Gao also had a lot of activities with the “ferry boat” going from Bamako to Tombouctou and stopping there to embark as well as goods as people and animals. It had a flat bottom hull in order to navigate on the Niger. But most of the food stalls in town were held by women on the floor with little piles in front of them to sell. I had the unfortunate experience to have to cope with some teenagers, like a little gang, powerfull enough that I could’nt buy food anymore. They were ahead of me and talked menacingly to the women in their dialect and prices were rising 3 times its value. They had wanted to impose on me a “helper” in order to buy when I had already one, a gentle little guy who I would pay for his help. It was a lesson! What I remember of Tombouctou’s market was a very dusty covered place with big bags of millet, some filled with roots of all kinds, others with flour of some other cereals. Basically most was unkown to me, appart of course the dried tomatoes, tiny ones, to make a sauce. The usual shop in the Sahel’s towns had on display tins of dry milk for babies ( often marked with an OGM stamp), tea, rarely coffee. In fact the basic metal shelves standing in the middle of an empty building were scarcely filled with goods. Food was available though by talking to locals. I bought goat cheese in the form of thin and small pancakes that a young Tuareg fetched from his camp nearby. Sometimes they were millet buns for sale with a very spicy sauce. On the “ferry boat” from Gao to Tombouctou it took three days (normaly two days at the most) due to a sand storm creating a thick fog of dust all around so that for a night the boat found itself stuck against the sandy shore. Life on board was very tumultuous and quite at the same time, most people were on the 3rd and 4th class. The second was on the decks the first with cabins actually used by soldiers and their family. Basically most passengers had found a small space to seat on the floor from the bottom of the ship to an other level. So much was going on like if being on dry land, cooking on little braziers, babies fed lying on blankets between their mothers’s legs, children looked after by old men, the whole ferry loaded with items like beds and goats. Colourful women were squeezing their way among the crowd sitted on the floor everywhere to sell their hot cooked rice. Everytime the ferry stopped by a village young and old were on the shores of the Niger to welcome the ferry. They had live chicken to sell held by their feet, local fruit diplayed in baskets. Everytimes we were approaching a village traditional Malian music was beeming from the ferry’s speakers. Enchanting and memorable events they are still in my mind for all the people in coulourful cloth shouted attention or laughed of the pleasure to see the ferry so as to do some good business. The long pirogues floating around were also carrying all sorts. And the music….the feminine voice singing beautiful melodies , the echoeing beat and the wild rythm of the drums…..all was part of it in this dry surrouding where the locals spread life in its most exhilarated way. Music is so much part of Africa, Mali in particular. You were right to mention your experience with musicians. Who else than a journalist can propagate their culture abroad let’s put appart the politique? many thanks. You have just asked a government representative (19.20) whether the intention is to implement changes in order to collect tax from the likes of Google and Starbucks. Despite the recent Panorama revelations you did not mention the Barclay Brothers, owners of the Daily Telegraph. How can this be? They are surely more relevant examples in every respect. I don’t understand the last remark – why are you having a go at a journalist who seems to be doing his job well?